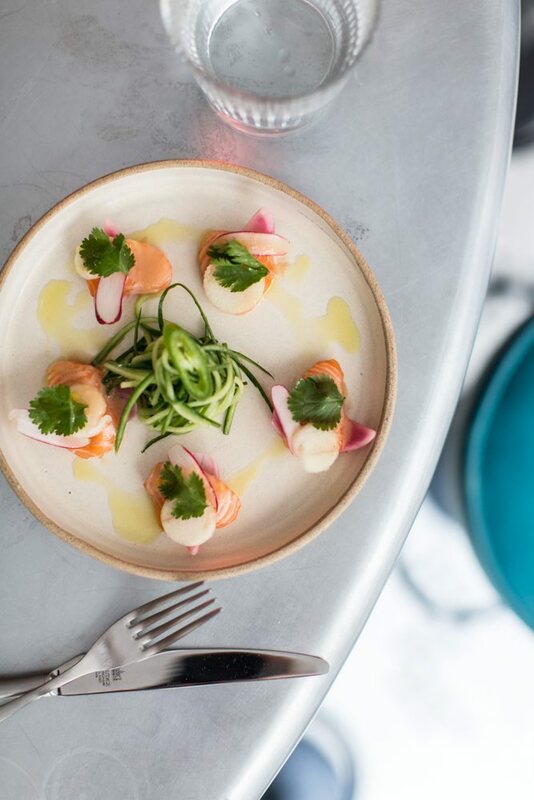 Machneyuda's British incarnation brings the color and atmosphere of Israeli open-air markets to London's competitive culinary mecca: Soho. 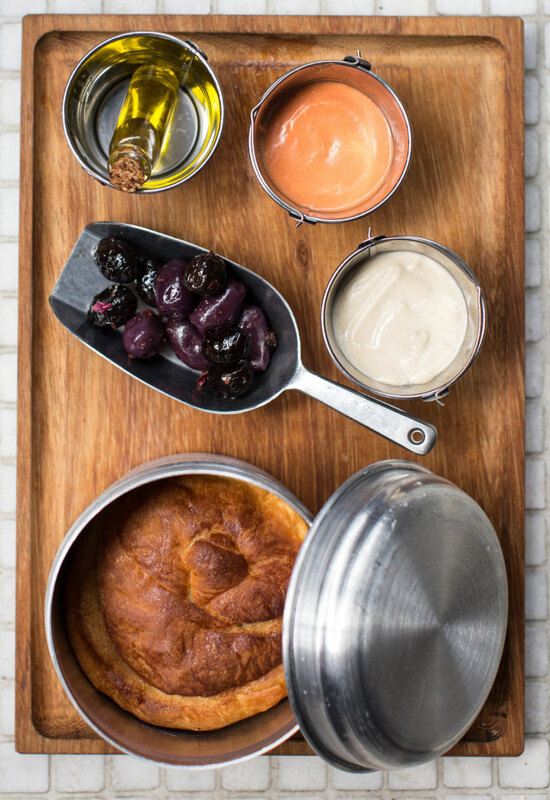 When an Israeli chef opens an Israeli restaurant in London, the most interesting question is whether it offers something new or particularly good to the abundant culinary scene. My partner and I decided to try the London version of Chef Assaf Granit’s Machneyuda restaurant in Jerusalem’s Mahane Yehuda market, which is called The Palomar – and where it is impossible to reserve a table at reasonable hours even months in advance. When we looked for the restaurant’s address, we found that instead of opening in one of the trendy areas of London, Granit opened his restaurant in Soho, which has not been a trendy or buzz-filled area for some time, but is simply the long-time culinary center of London. This was quite a courageous choice, since the abundance and variety of restaurants in London reaches its peak there, and the competition is bloody. The restaurant’s entrance is impressive. The bar, which runs the entire length of the restaurant, is made of marble, which is slightly reminiscent of Roman cafes and French bistros, with gold-colored table lamps placed between the diners. The copper cooking utensils are hung around the open kitchen behind the bar, and work towels decorate the diners’ plates. Like the original Machneyuda, the cooks are in constant interaction with the customers, and the diners sitting at the bar enjoy the noise and ringing bells from an active kitchen. The lovely hostess showed us to one of the tables in the rear of the restaurant, but familiar as we are with Granit’s restaurants, we asked to move to the bar and were permitted. That way, we had a front-row seat facing the kitchen, just opposite the checker’s station, which was filled by Granit himself that afternoon. The waitress suggested that we order dishes to share, and we heeded her recommendation. This is the time to say that the service was good, but because of the crowding in the kitchen, the waitress did not have easy access to the bar, so she did not notice us when we wanted to order or pay. After studying the menu, we decided to sample a few of the nishnushim — Hebrew for “snacks,” derived from the Yiddish “nosh” – including oysters with coriander, lemon zest and Arisa oil – which were delicious, even if the flavor of the Arisa oil was dominant. We also tried the kubaneh – “Yemenite pot-baked bread served with tahini and grated tomatoes,” as the menu describes it – which was airy and soft, and the grated tomatoes were very tasty. We also ordered a small portion of their famous polenta in a jar. We received, on the house, the bruschetta matbucha with cured sardines. The bruschetta had been left in the oven too long and tasted burnt, and the matbucha that had been spread generously upon it was not spicy at all. We thought that perhaps this was done out of consideration for the delicate British palate, but it is actually not delicate at all, since the other dishes were definitely spicy. Of these dishes, the real star was the rich polenta, which had a strong flavor of mushrooms and truffle oil and was the best dish of the meal. Second place goes to a surprising dish we got to taste only because Papi, the generous cook from the original Machneyuda restaurant who worked facing us, noticed our interest and saved us a few slices of fried salmon belly. These stout slices were a simple and decadent pleasure. We continued with the spicy octopus salad with mulukhiya leaves, chickpeas, spinach and yogurt and lots and lots of lemon. The dish was so sour that we could taste no other flavor. Unfortunately, we could tell that the octopus was too dry, which completed the picture of a very disappointing dish, particularly in light of our fondness for octopus. The gilt head bream fricassee, though, was a good and balanced dish. The small sandwich of fried bread was filled with slices of sea bream instead of tuna, and instead of a hard-boiled egg there was a quail’s egg (for the sophistication, of course), with the rest of the well-known Tunisian-style ingredients. Everything in it was delicious, and the doughy, crisp and suitably oily wrapping filled us with longing. Even though this dish is common in Israel, it can be served proudly here, too, and we could tell it was upgraded significantly. 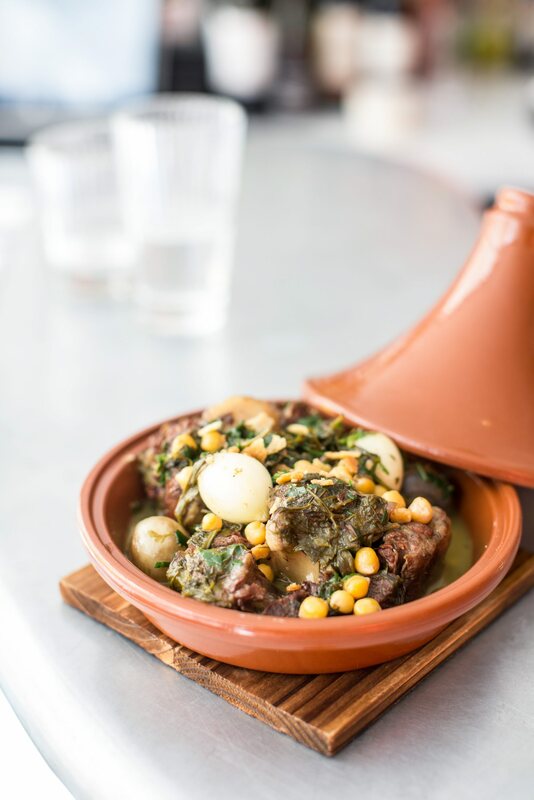 We also ordered the pork belly tajine with ras el hanout, dried fruit and Israeli couscous, which turned out to be tiny pieces of pasta. Yes, pasta. The dish was nice but no more than that, and I have a strong fondness for pasta. For dessert, we skipped the “authentic” dishes (tahini ice cream, malabi, basboussa) and decided on the chocolate cremeux, a small, concentrated chocolate cake with puffed rice, pomegranate coulis, cocoa tuile and almond streusel, which hit the spot. The opening of The Palomar is definitely a brave step for the Machneyuda group from Jerusalem. More than that, it appears to be a wise financial investment. The restaurant has been open for about a month, and even though it would do well to improve its service and the precision of its dishes, it is almost completely full for the next month. I assume that the reason is the atmosphere and colorful style it offers the London crowd, which, even if it is not unique there, is certainly not common. In this sense, the pork belly dish is representative of The Palomar in its entirety: It’s good, and will make a much stronger impression on British people than on an Israeli couple that has not been there long enough to miss the restaurants of the Israeli open-air market.